I have been meaning to take my family to this festival for the past couple of years, but something has always thrown a wrench in the schedule. This year we finally made it, and we’ll definitely be back! 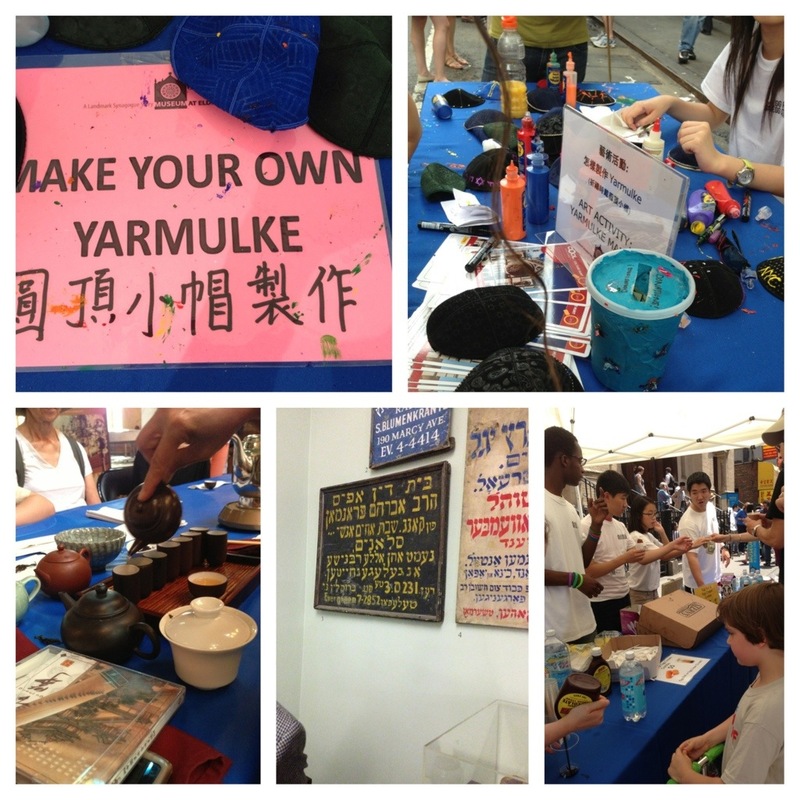 Where else can you decorate your own yarmulka/kippa (Jewish ritual skullcap), take part in a tea ceremony, bake a challah, learn chinese, make a traditional papercut, listen to Klezmer and cantorial music and snack on a kosher vegetarian eggroll and a chocolate eggcream all in a 120+ year old working Orthodox synagogue?! This entry was posted in NY, Wordless Wednesday and tagged eggrolls and eggcreams festival 2013, eldridge street synagogue, lower east side nyc by jessica. Bookmark the permalink. Happy WW, thanks so much for hosting. My post is up now at Ms Mystery Case, if you have time pop over and link up. Thank you for hosting the WW Blog Hop! Sounds like a fantastic festival. Let me know if you ever want to write a guest post at Kibitz Spot. I love the mix! Looks like a lot of fun too! I bet the klezmer band was fun. We missed this year’s Israeli Fest because it was the same weekend as my nephew’s ordination. Hope your enjoy your day! My WW is open hope you can stop by. How cool. After when I read skull I was thinking something like sugar skulls a Jewish version of Mexico’s Dia de Las Muertes. Took me a few lol Looks like a ton of fun! It looks like a great day was had! I actually used to work for Rabbi William H. Lebeau, former Dean of The Rabbinical School, Vice Chancellor and Chairman of the Department of Professional Skills, and Lecturer of Professional Skills at the Jewish Theological Seminary of America of Conservative Judaism in New York City. The idea of decorate your own yarmulka/kippa sounds so fun for families to do together! I just realize when you type to fast for your device, it cuts stuff off, like the word butterfly in my name, LOL! Very cool, I love the multicultural aspect of it!